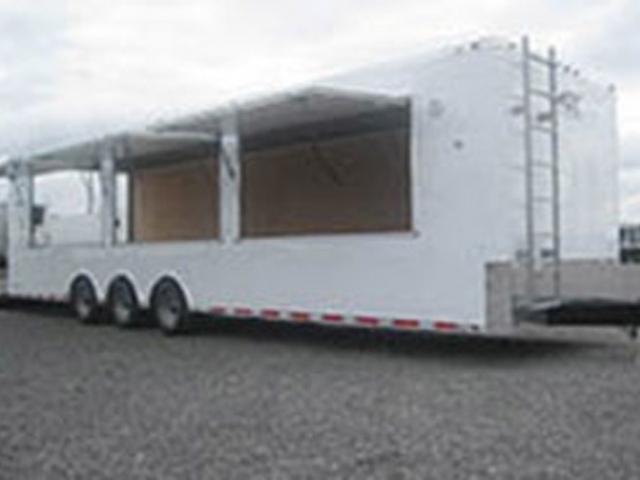 This Vending Concession Trailer was built for a customer to sell custom printed T-shirts at soccer tournaments. ATC custom trailer options included (3) 8’ vending doors w/ gas shocks, prep for Arrow tent awning, rear ramp door, walk on roof and exterior speaker system. 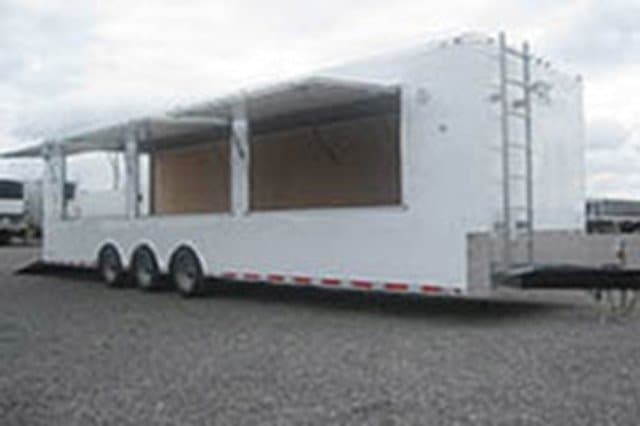 This trailer can be custom built with unlimited options, layouts, colors, and lengths from 10 ft to 53 ft. To get started on your custom trailer, Request a Quote or call us at 1+ (866) 545-3065.